We've added some new Wishbone Day awareness raising items to our online Wishbone Day store. Kids and adult PJ's, coffee mugs, stadium blankets, even a t-shirt for your dog! Click here to visit the online shop front. Our friends over at the Brittle Bone Society in the UK are challenging their government officials and politicians to go yellow with a Wishbone Day pin on 6 May 2011 to show support for Wishbone Day. We think this is a great idea! So we're putting the challenge out to our Wishbone Day supporters world wide. Who can you get to go yellow on Wishbone Day? They wouldn't have to wear a pin; maybe a yellow tie? or shoes? or maybe even yellow socks? The possibilities for yellow are endless. 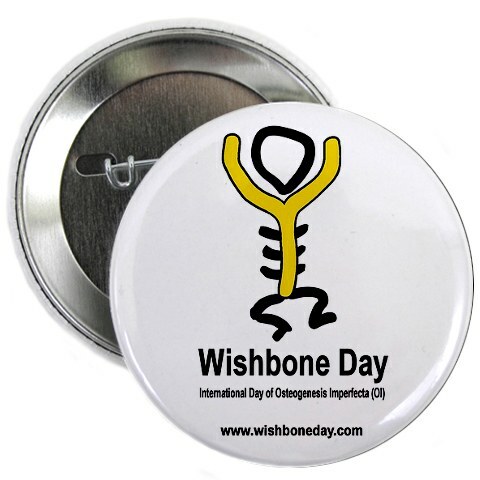 If you need help with Wishbone Day awareness items click here for more ideas. Let us know how it goes! We try really hard to keep everyone up-to-date with Wishbone Day developments and as Wishbone Day grows larger this is becoming more difficult. We've learned that even though we post regular updates on our website, facebook and on twitter a number of our supporters have missed our updates and Wishbone Day opportunities. Facebook and Twitter have been a great way to share and network our information but we have learned that they are not always the most reliable. For those of you with many friends in your network it is really easy to miss our posts. For some people, our posts could even be filtered out of your news feed if you don't interact with us often. SO WISHBONE DAY NEEDS YOUR HELP! We need your help to share, like, repost and link us often! Tell others about opportunities to be involved or about new Wishbone Day developments and information. We need you to do this so no-one misses out! Subscribe to our website! and encourage others to do the same. Tag Wishbone Day as a favourite on your Facebook or twitter so you can easily find us. We don't want anyone to miss the opportunity to experience Wishbone Day! Please help us to stay connected. Do you have other suggestions on how we can keep our supporters up-to-date? Contribute your ideas through the comments link below - we love reading your ideas and comments! Help us with a new Wishbone Day video in the lead up to Wishbone Day 2011. Send us your photos that capture living life with OI. Photo examples: Quad biking, climbing, kayaking, playing a musical instrument, graduation photo, parenting, horse riding, playing sport, doing art, computing, etc or photos that capture achievement, determination, fun, happy, etc. -- living life with OI -- You get the idea? Your photos can be individuals or with family and friends. We hope to launch the video by March to help raise awareness for Wishbone Day in May. 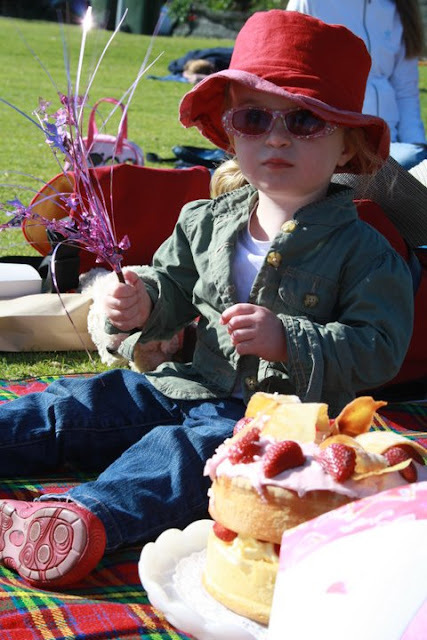 Submit your photos via email at info@wishboneday.com by 23 February 2011.